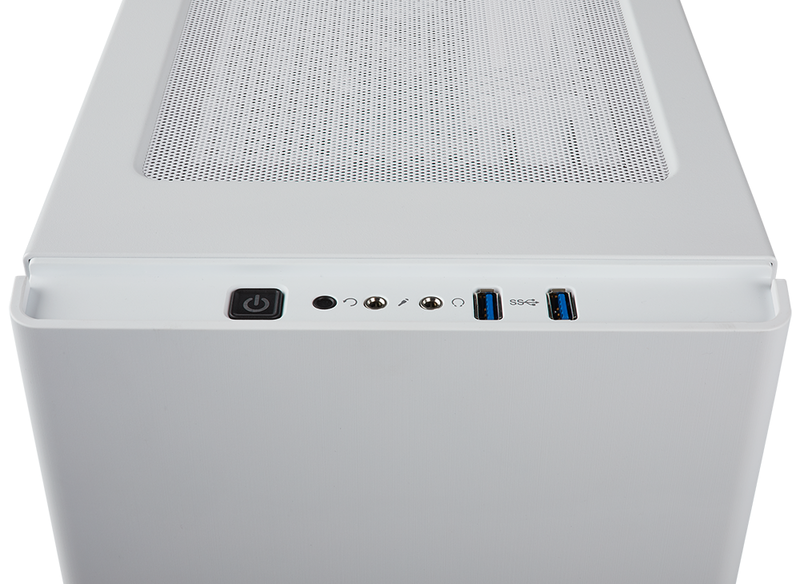 High-end PC chassis are all well and good, but manufacturers understand that sub-£100 models are essential if you plan to ship boxes in meaningful quantity. 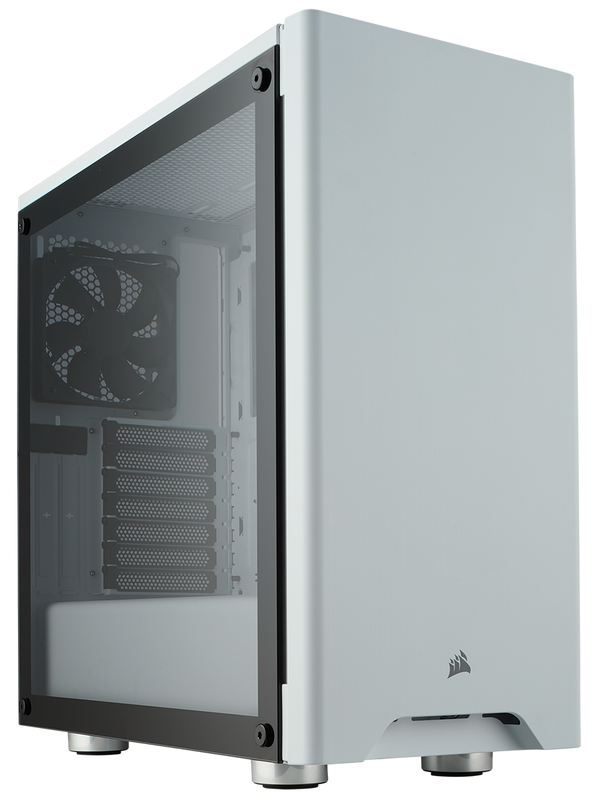 Corsair has played on that fact with an entire line of affordable Carbide Series enclosures promising "high-end features you need, and nothing you don't." The latest entrant to the range, and successor to the 2016 270R, is the Carbide Series 275R, starting at £65. 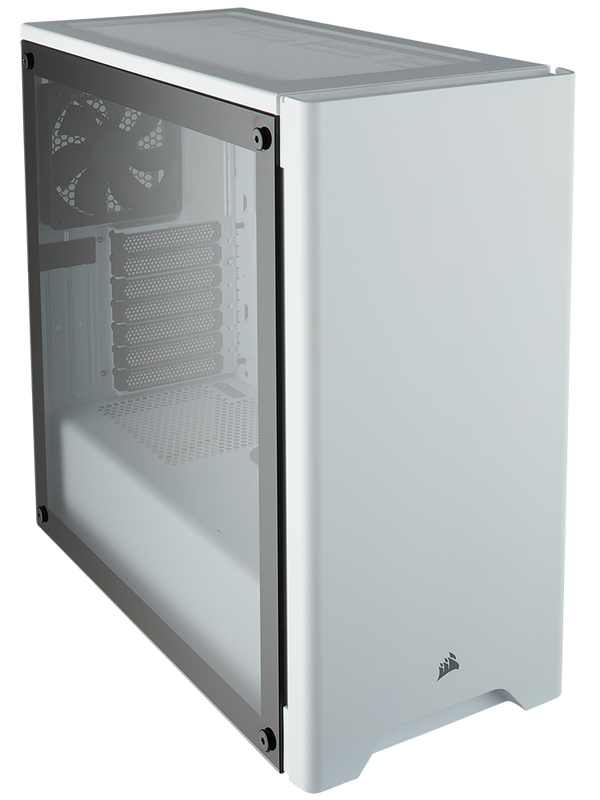 We have the tempered glass version, costing £75, in for review today. 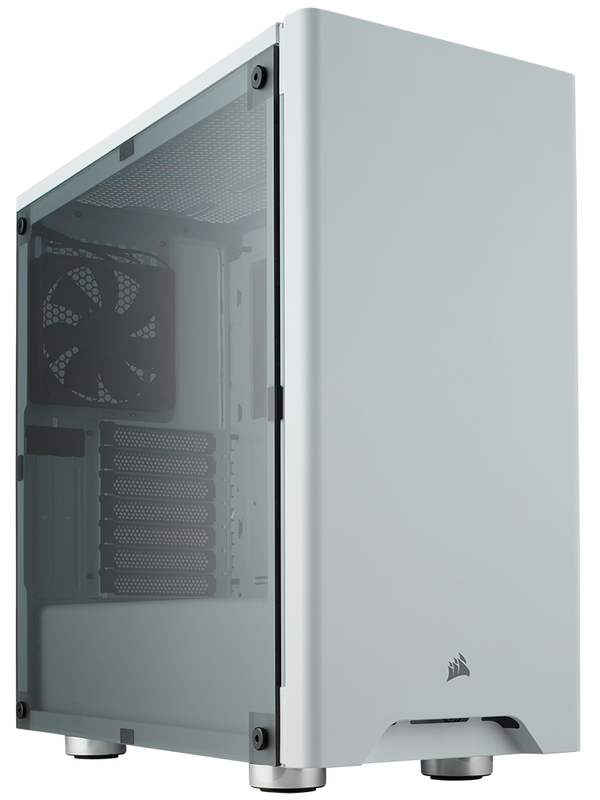 Corsair's price point is a little on the high side for a Carbide Series case - the asking fee is 15 per cent higher than the 270R at launch - yet first impressions are positive and the newer model appears to have corrected most of the issues we identified with the 2016 predecessor. 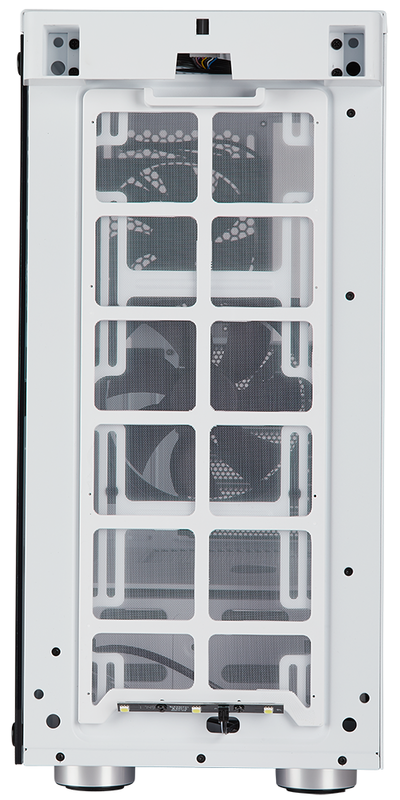 Gone are the unsightly red LED fans, the I/O ports are no longer awkwardly positioned, and there are more dust filters throughout. It's always nice to see a manufacturer responding to feedback, and Corsair has also moved with the times aesthetically. Carbide Series 275R looks like a modern case thanks to a tempered glass side panel that offers an extra layer of elegance. The case itself comes in a choice of black or matte white colour schemes, and we're divided in the two-tone finish of the latter; some appreciate the contrast provided by the black bezel on the glass, others think it ought to be white. Either way, 275R is a neat-looking 455mm x 225mm x 460mm box but there's a disappointing design choice that becomes apparent when you first venture inside the enclosure. 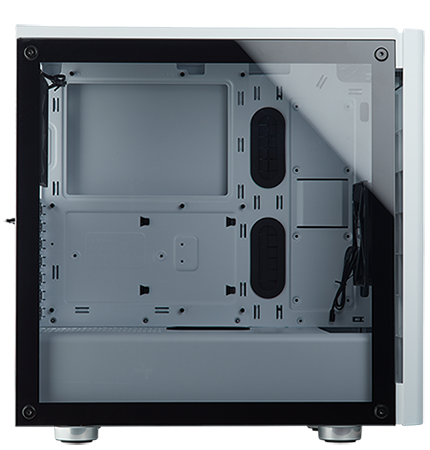 See the four fixings for the tempered glass panel? They require a hex key to be unfastened, which combined with the fact that the glass floats on the side with no ledge to sit on, makes opening and closing the case feel like a long-winded process. It's a genuine sore point - a deal-breaker if you happen to venture inside your PC regularly - and surely a few simple thumbscrews would have sufficed? 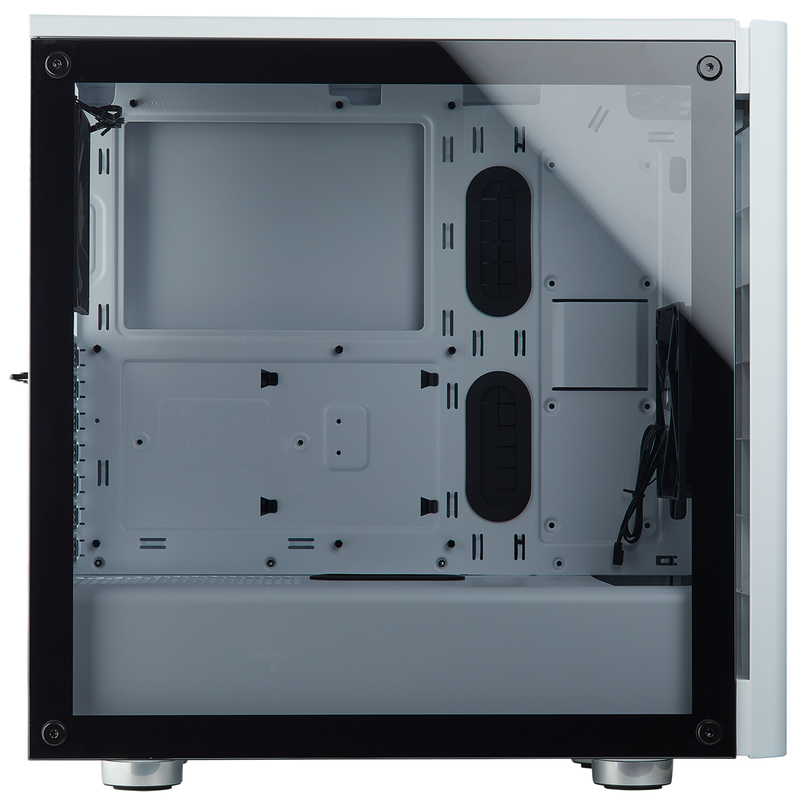 In the interests of keeping cost down to a minimum, Corsair does offer an alternative 275R with an acrylic side panel instead of glass. Said case doesn't look quite as good in the product shot, with cushioning pads visible around the edges, and the lower £65 asking fee is offset by the absence of a top dust filter and no rubber grommets. Sadly, both models require a hex key for entry. 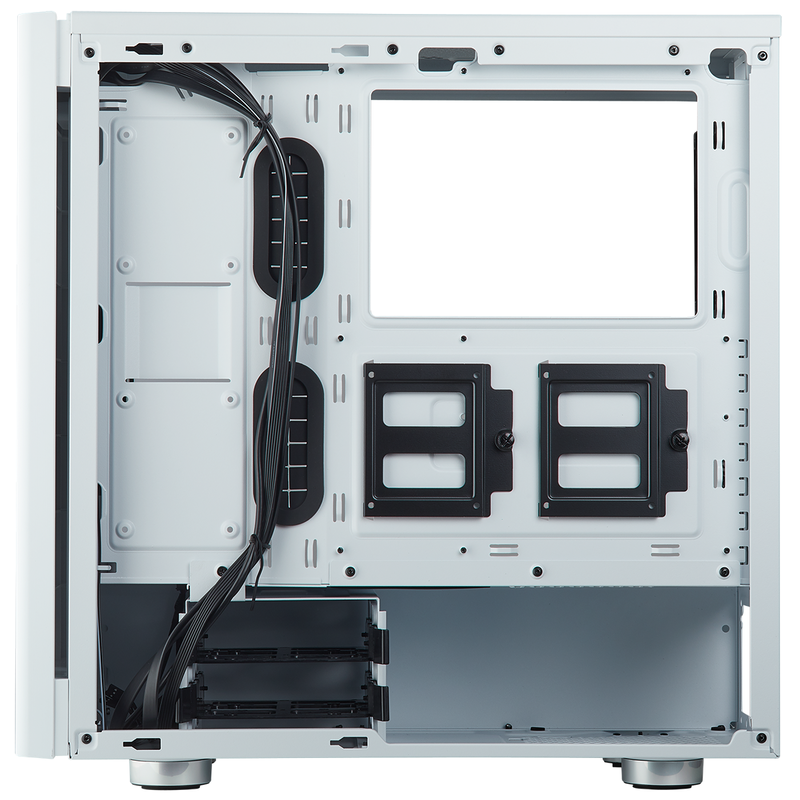 Whichever is on your radar, internal hardware support is identical with Corsair adopting a logical layout that's capable of housing a reasonably high-end build. There's room for a mini, micro or standard ATX motherboard, graphics cards can measure up to 370mm in length, a CPU heatsink can stand up to 170mm tall, and there's ample scope for storage and liquid cooling. 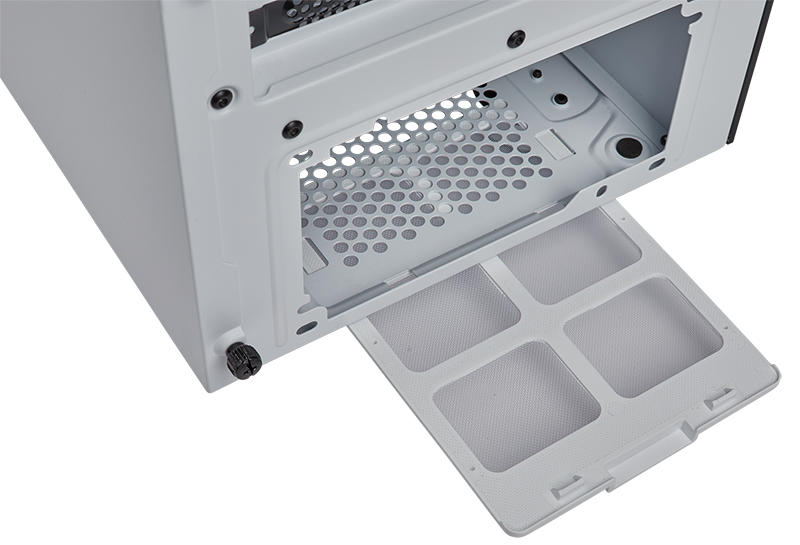 A pair of 3.5in drive trays are available in a removable cage located toward the end of the enclosed PSU compartment and if your supply happens to be longer than, say, 170-180mm, you may want to eject the cage to free up space for cabling. SSDs, meanwhile, are well catered for by a quartet of mounts on the back of the motherboard tray. Two are provided in the form of removable sleds, while the other pair, located nearer the front of the case, are fixed and allow for 2.5in drives to be installed on either side. 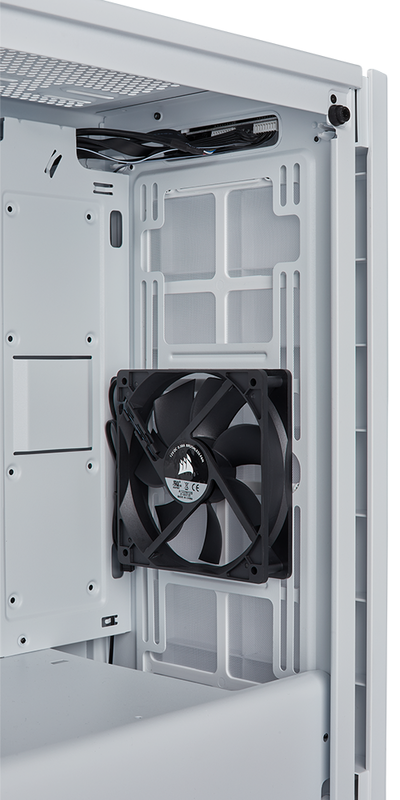 Entry-level cases typically attempt to mirror the high-end equivalents with plenty of fan mounts, and Carbide Series 275R does a decent job. Mounting points are comprised of a 120 on the back, two 120s or 140s in the roof, and three 120s or two 140s in the front. 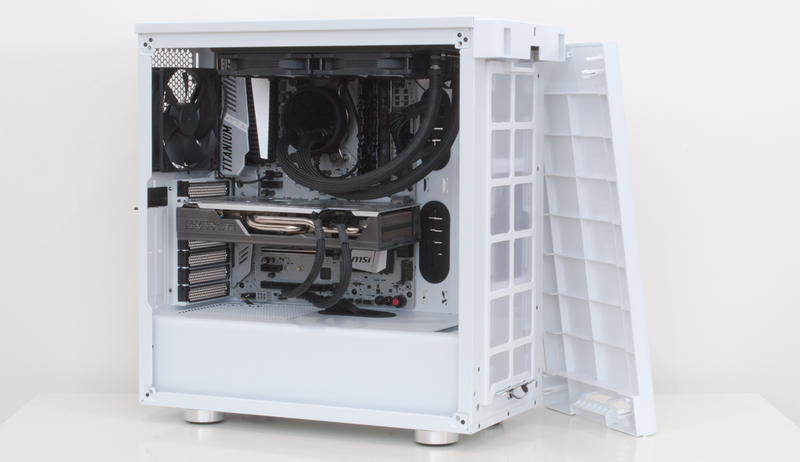 There's plenty of filtering, too, with a magnetic cover lining the top, a full-length filter behind the front panel and a pull-out filter beneath the PSU. 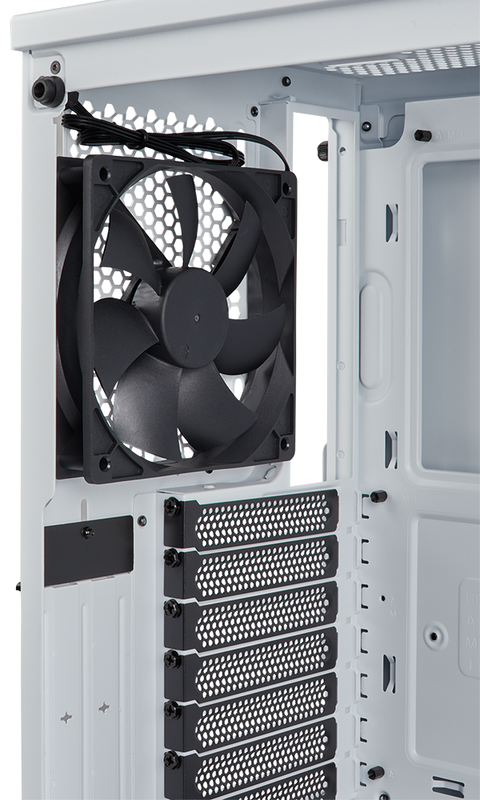 Two SP120 three-pin fans are supplied as standard - one acting as a front intake, the other serving as a rear exhaust - however airflow is likely to be somewhat restricted with the plastic front panel attached. 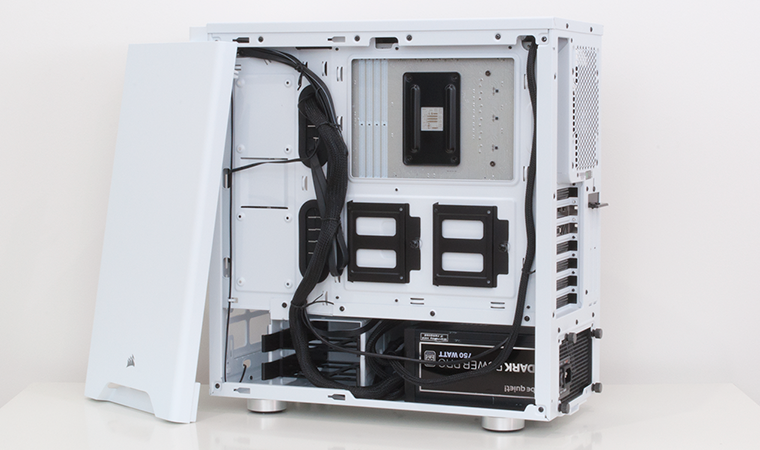 The interior layout is primed for a liquid cooler, though do be aware of space restrictions up top; our 240mm Fractal Design Celsius S24 did eventually fit, but installation was a very tight squeeze due to the height of our G.Skill memory modules. 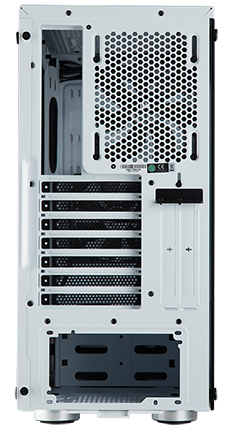 Carbide Series 275R's interior cavern is, for the most part, simple to work with, yet the easy-going layout further accentuates the poor choice of tempered glass fixings. Working with the case should be enjoyable, but if you forget to do just one thing you come back to the chassis thinking "oh hell, now I've got to get that panel off again." A shame, really, as the case does most of the basics quite well. The two primary rubber-grommeted cable holes are well sized, and we like the fact that there's another in the top of the PSU shroud, cable tie-down points are plentiful, there's provision for a vertical GPU mount (Corsair plans to sell an optional standalone riser card in the near future), and a small LED strip is at hand to provide a touch of downward glow to the front fascia. The rear side panel can be a little tricky to attach - it uses a notched design that isn't forgiving on messy cables - but premium quick-release mechanisms aren't to be expected at this end of the market. 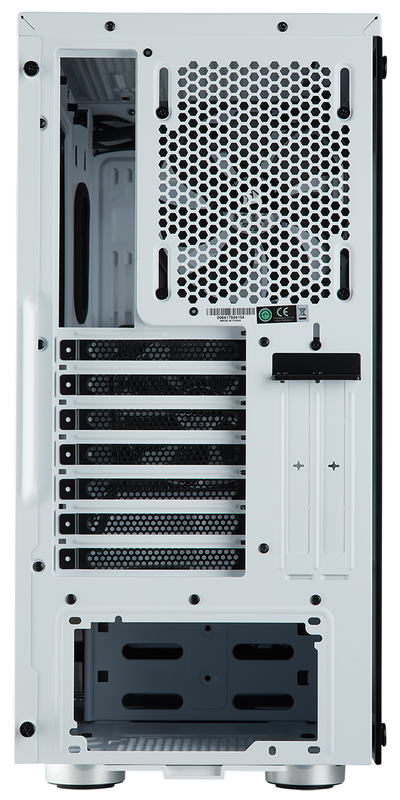 Understanding its price position, Carbide Series 275R understandably doesn't offer some of the niceties on offer from pricier models in the Corsair range. There's no fan controller, no sound-dampening material, and the top I/O panel is standard fare with two USB 3.0 ports, audio jacks and power and reset buttons. 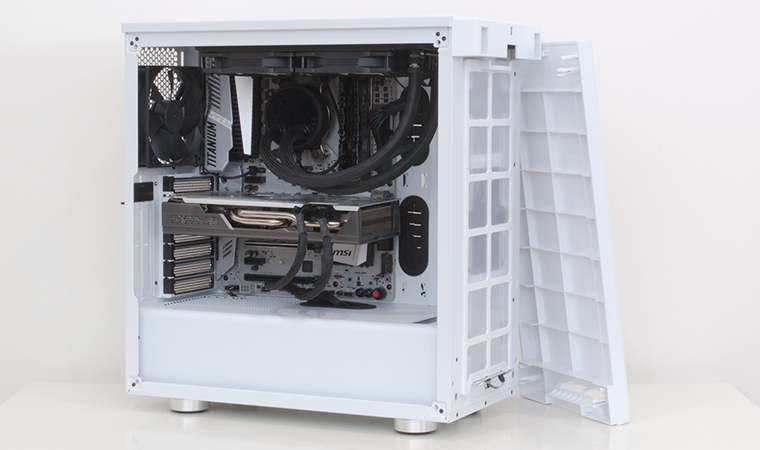 On the flip side, build quality is reasonable and the clutter-free approach could be deemed ripe for modding.